Ever wondered why bad musicians always win the Eurovision Song Contest, or how incompetent politicians get elected? 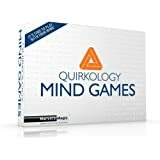 You need some Quirkology in your life. How does your surname influence your life? What does the way you walk reveal about your personality? Why should women have men write their personal ads? 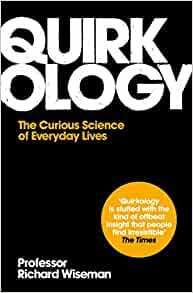 Start reading Quirkology: The Curious Science of Everyday Lives on your Kindle in under a minute. Ever wondered why bad musicians always win the Eurovision Song Contest, or how incompetent politicians get elected? You need some Quirkology in your life. 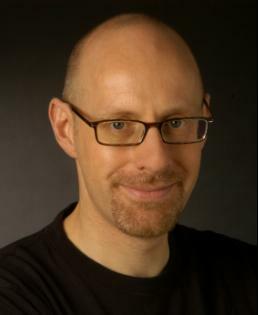 While other scientists beaver away on obvious problems, Richard Wiseman has been busy uncovering the secret ingredients of charisma, exploring how our personalities are shaped by when we are born and examining why people usually miss the obvious signs of their partner's infidelity. Using scientific methods to investigate offbeat topics that interest the general public as well as the scientific community, "Quirkology" brings a new understanding to the backwaters of the human mind and takes us to places where mainstream scientists fear to tread.It is comparable to "Freakonomics", but British, far more populist, and a lot funnier. Findings include: How does your surname influence your life? What does the way you walk reveal about your personality? Why should women have men write their personal ads? What is the funniest joke in the world? An interesting journey through Richard Wiseman's professional career to-date, investigating quirky science around the world, from how fast people walk in different countries to how your date of birth actually can affect your personality. It's an interesting quick read full of anecdotes about his own and other scientists' work, but it avoids going into more detail than necessary and, given that its focus is on nothing too technical, is approachable and pitched at a level appropriate for any reader, regardless of their experience in science or psychology. My main criticism would be that it doesn't quite have enough depth for the reader to get their teeth into. It jumps on fairly quickly from topic to topic and I would have liked a little more information in places. I was also a little disappointed by some of the 'quirky' facts which seemed a little too bland and common knowledge to justify their inclusion. Overall, an interesting read but nothing special - probably best aimed at a younger audience who may not have heard some of the stories before. I bought this book (and 59 seconds) after seeing Richard Wiseman on the Uncaged Monkeys tour. This is the first book of his that I've read, and the first I've read on this sort of subject. I'm about half-way through now, and it's a very interesting read so far. Everything is explained clearly and is easy to follow, without getting too in-depth; and it doesn't require any prior knowledge or reading. Looking at other reviews, I can see that if you've read a lot of his material or other books on this subject, then perhaps this book is more of an 'easy-reader'; but as first-time reader, I'm enjoying this book. 5.0 out of 5 starsSuperbly written and wonderfully revealing. Prof Wiseman has the knack of combined great depth of knowledge with a light, accessible touch. A career of reading academic papers and carrying out a great deal of his own research has been distilled for the lay reader. One of the best books I've read for a long time, very engaging and most informative. Q. This is a well written account of some of the strange ways humans behave, from how we think to how we interact with each other. Highly readable, enjoyable, and a stimulus to further thought which reads more like an extended column in a paper than a textbook (a good thing, in my opinion). Anyone looking for an academic foray into the subjects of neuroscience, psychology and sociology ought to look elsewhere. 5.0 out of 5 starsAnother great bok by Richard. Yet another really good book by Richard Wiseman. 5.0 out of 5 starsYou won't be disappointed! Brilliant - excellent read. Wiseman is a very accessible writer. Interesting, insightful, amusing, clever. Interesting enough, if you haven't read much around the subject of how people work, and the science is passed on in entertaining style. Less targeted that the excellent '59 Seconds', which aimed its research squarely at ordinary life and how that research could be made relevant, but a diverting read. very interesting, easy to read book. easy to dip in and out of. plenty of good subjects for discussion. bought for a 16 year old boy and he couldn't take his nose out of it, and it inspired household conversation! what higher praise can you get? !